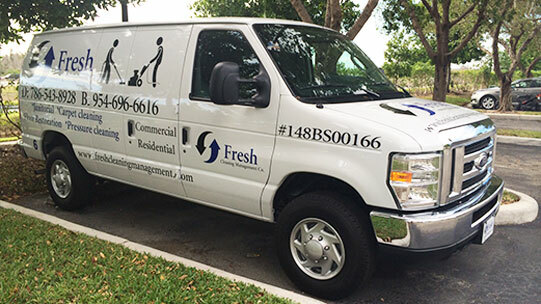 About Fresh Cleaning Management Co.
Family owned and operated for three generations, Fresh Cleaning Management Co. provides exceptional service at the right price. We understand the South Florida standard of luxury living and continuously surpass our customers’ expectations. We clean it and make it feel like home. Fresh Cleaning Management is licensed and insured for your protection and peace of mind. 1. Employing only the finest associates – All qualified candidates are subjected to a background check prior to contracting. 2. “Contract specific certification” – All associates are trained for your specific needs, to ensure that services are rendered to meet your standards. Associates must be certified after their “contract specific” training before commencing. 3. Keep staff happy – A happy work force results in exceptional service. Fresh cleaning management provides a comfortable, professional and enjoyable working environment. We are sure to maintain employee moral by providing a dedicated management group to ensure employees are part of a team and occupation they can be proud of. 4. Offer a full service cleaning- We cover all aspects within your scope of cleaning needs. 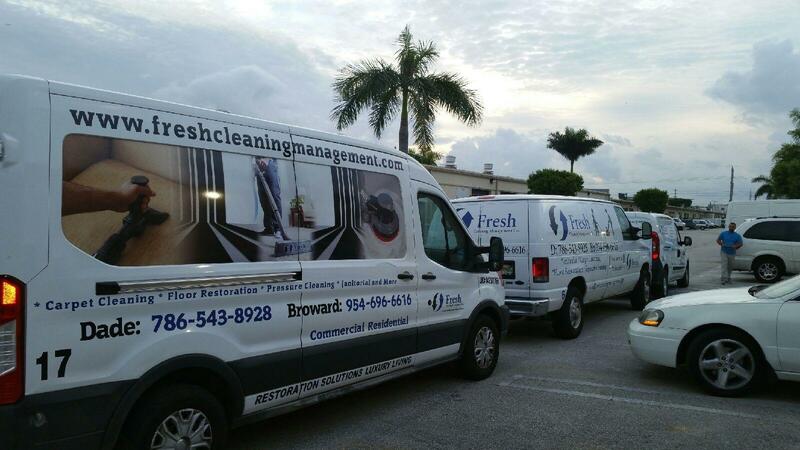 Fresh cleaning management specializes in Janitorial services, Floor restoration, Carpet cleaning, 24 hr Flood service and pressure cleaning. 5. Upper Management – Our upper management team ensures all associates are properly trained and performing as expected. They maintain regular contact with customers to make certain that projects are progressing as needed, and discuss any future projects or improvements. Large companies frequently contract janitorial services to clean and maintain their buildings. Janitorial companies provide a range of services based on their areas of expertise and the needs and budgets of their clients. Fundamental tasks provided by janitorial services include sweeping, vacuuming, dusting and trash removal. The designated areas for cleaning typically include offices, hallways, lobbies, lunchrooms and restrooms. Landscape workers or groundskeepers normally clean outside areas.